The Siebel Scholars Foundation provides scholarships to top students in the graduate fields of business, bioengineering, computer science, and energy science — as well as orchestrates vibrant, socially conscious events where preeminent community and government leaders share relevant cultural topics with students and academia. 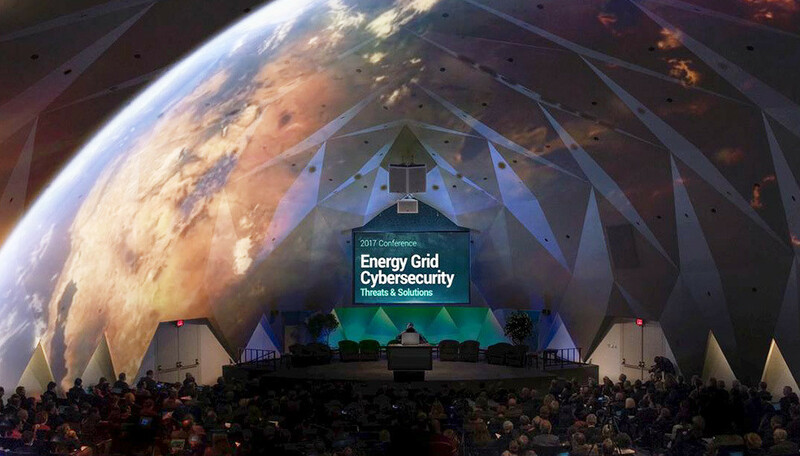 At its latest event, “The Energy Grid Cybersecurity: Threats & Solutions Conference,” Siebel Scholars convened government leaders, energy researchers, and cybersecurity experts from across the globe. The three-day program included sessions on the critical issue of making infrastructure more secure, as well as the potential impact of cyberattacks. 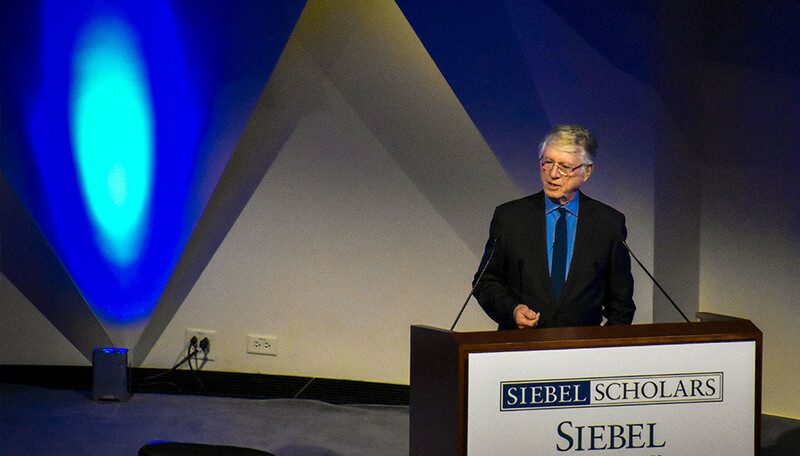 Siebel Scholars sought an event that went beyond the Millennial-heavy audience just understanding a cyberattack, but experiencing one — including its effect on American infrastructure and lives. 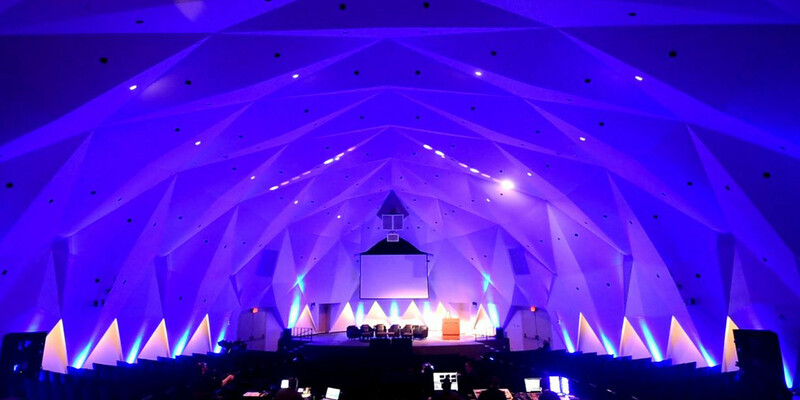 For this vital part of the event, during the opening session, Siebel Scholars trusted the audio visual and design-thinking experience of Freeman. 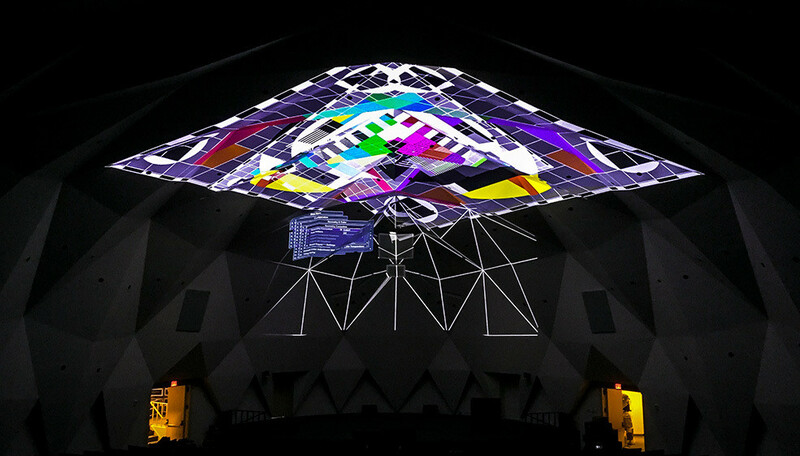 With the multifaceted and domed geometric pattern ceiling at the National Academy of Sciences, we felt it was a perfect opportunity to offer an immersive 3D projection mapping experience that realistically expressed a real-time cyberattack. At the start, attendees were given individually coded LED wristbands that pulsated like a heartbeat, representing sections of the population. The audience then witnessed a 3D-projected map of the U.S. on the ceiling, along with the image of a computer hacker breaking down the national energy grid. A dramatic countdown began on the ceiling — from day 365 to day one — with energy grids visibly failing on the map. Gradually, audience wristbands turned off, signifying population casualties due to lack of energy resources. Eventually, the projection on the ceiling went completely dark, with only a small portion of the audience being “alive” by its lighted wristbands. In a post-event survey, 100 percent of participants said they would attend another Siebel Scholars Foundation Conference. The program also shifted mindsets. Before the event, attendees ranked awareness building highest among the biggest hurdles to resolving energy grid cybersecurity. After the event, public policy moved to the top spot, with awareness building falling to third. During the three-day event, scholars and leaders worked together to recommend 21 viable solutions that they submitted to the U.S. Senate Committee on Energy. Soon after, the presentation won the prestigious IAEE Art of the Show award, for Most Innovative Use of Technology Under 75,000 nsf. Want to learn more about how we can help you create an amazing immersive experience at your next event? Request a consultation today!